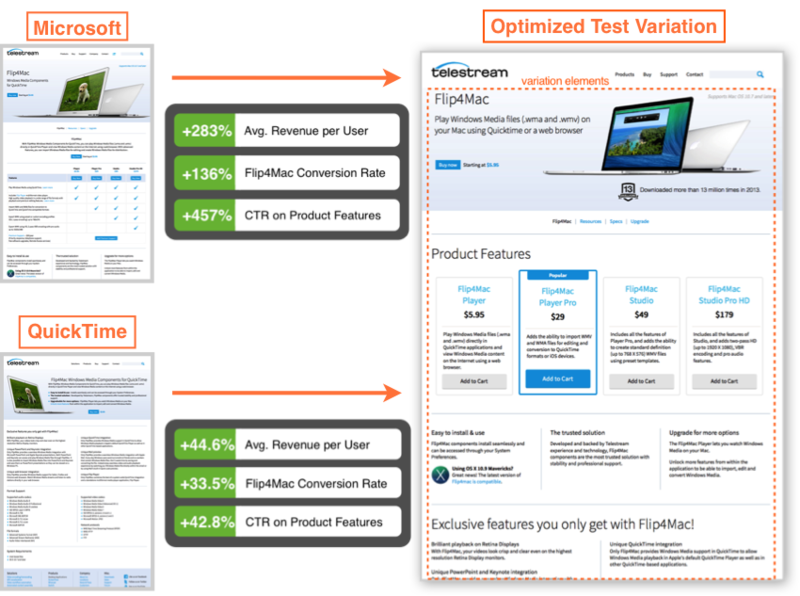 Telestream was looking for ways to incrementally improve the performance of the website, turning visitors into Flip4Mac buyers. 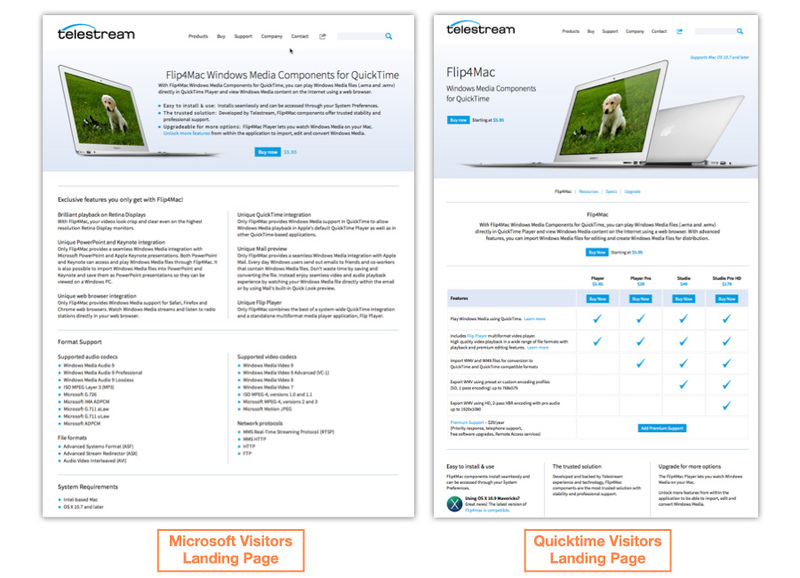 Telestream reached out to Blast to devise a testing plan that would provide actionable insights to increase site performance on two specific pages, the Flip4Mac landing page for Microsoft visitors and Flip4Mac landing page for QuickTime visitors. Shortening the hero image and increasing visibility of the product feature matrix increased click-through, but significantly lowered the average revenue per user since visitors were buying the less expensive product. Removing the product feature matrix from the page resulted in an increased click-through on the hero image, but lowered the average revenue and conversion rate. Creating an enhanced product feature module improved the readability and value proposition, which positively effected conversions and resulted in a significant increase in revenue. By learning from initial variations and applying those learnings to subsequent tests, Blast was able to find an optimal balance between messaging, relevance, and usability that altered the product mix towards the pro version. This resulted in significant increases in conversion rates and average revenue per user with visitors from both segments.